Made with the modern tea lover in mind. 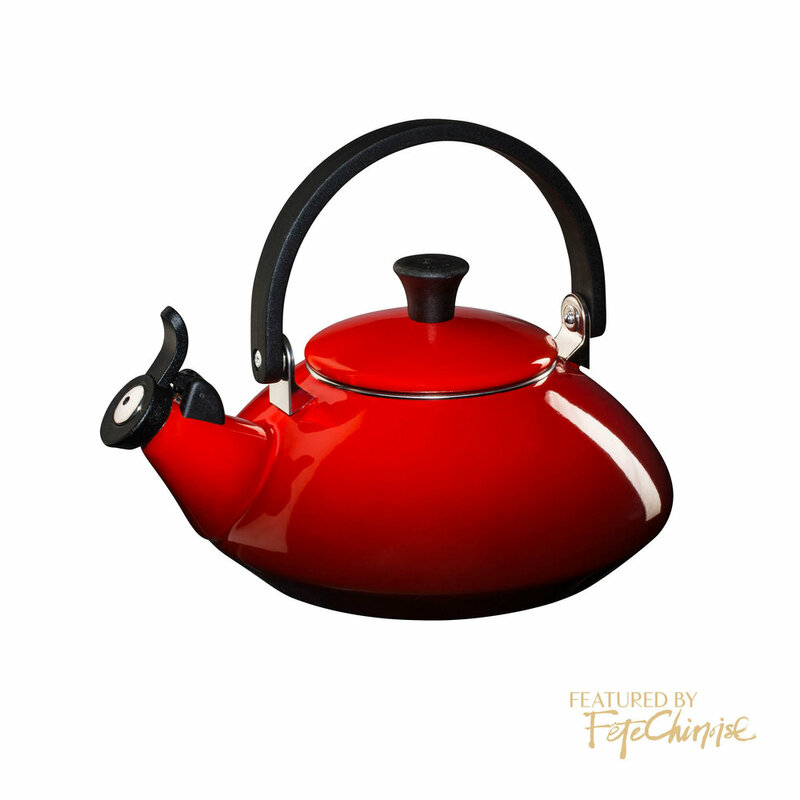 This contemporary teakettle also features the new fixed whistle. Good fortune is represented with this joyous red colour — one imagines celebrating good news with a cup of hot tea, or simply cheerfully boiling in the middle of a happy kitchen.